Your shiny new Energy Star-rated TV is lying to you. At least, that’s the gist of a new report on TV energy usage by the National Resources Defense Council (NRDC), which was released to the public Wednesday. The report — which comprises a battery of tests the NRDC and its consultant agency Ecos Research conducted on a batch of 2015-2016 Samsung, LG, and Vizio televisions — claims that the exploitation of loopholes in the Department of Energy’s (DOE) Energy Star rating system could be costing viewers more than $1.2 billion in extra energy costs over the lifetime of their new TV. What’s more, the new study concludes that more than 5 million metric tons of extra carbon emissions will be released into the atmosphere due to the new TVs’ unexpected power requirements. There are multiple ways your new TV’s energy use can double, claims the NRDC, many of which can take effect without your knowledge. In other words, your “energy efficient” TV may not be efficient at all, potentially affecting your budget and the environment alike. How is this possible? Let’s begin with the DOE’s method of testing, which uses a 10-minute loop that the NRDC claims is far from reflective of the way consumers actually watch TV at home. “The 10-minute video loop used in the test method for measuring and reporting average TV power contains a collection of unusually short scenes that is not representative of most real-world content,” the report claims. That would appear to put the blame on the DOE. However, the report goes further, claiming that it’s possible certain TVs include software that detects when the TV is being tested and games the system. It’s possible certain TVs include software that detects when the TV is being tested and games the system. “We observed inexplicable dramatic and sustained drops in energy use in TVs from certain manufacturers, beginning within the first minute of the video test loop used in the DOE test method for new TV models,” states the report. To verify the anomaly, the agency created its own test loop designed to better reflect real-world viewing, with some very telling results. Power dropped by a whopping 58 percent on one of the LG TVs tested during the DOE’s 10-minute loop, yet it dropped by just 13 percent with the NRDC’s “real-world” testing loop. The test results were reportedly similar with Samsung TVs. 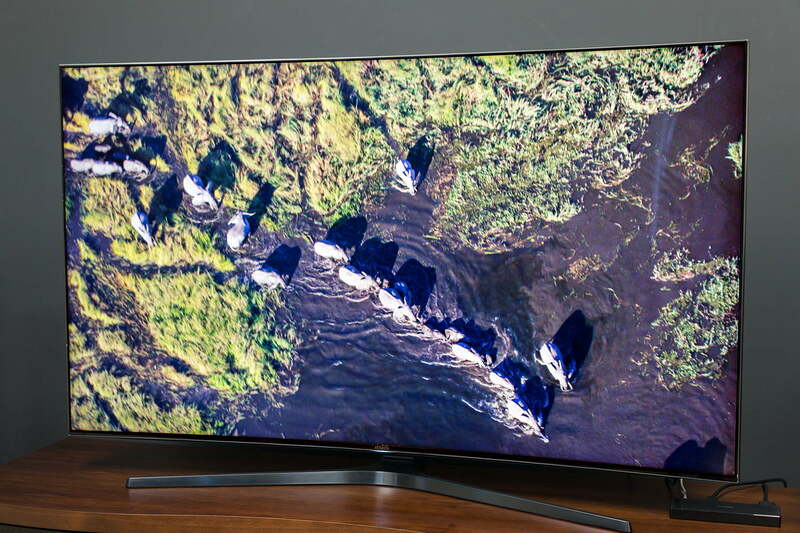 According to the report, that’s because the vast majority of Samsung and LG TVs use an energy saving feature called motion-detection dimming (MDD), which is designed to dim, or briefly turn off the TV’s backlight system when “rapid motion and frequent scene changes” occur. The tech is ostensibly designed to save energy during commercials and music videos, according to the NRDC, but it also works exceptionally well during the DOE energy efficiency test. “It is possible that some manufacturers have designed their TVs to detect the continuous occurrence of short scenes and frequent scene cuts and to ‘optimize’ their performance to reduce power when content with these characteristics is displayed,” the report claims. While not nearly as dramatic as the recent auto scandals by diesel makers like Volkswagen (aka Dieselgate), it’s another reminder of the integral role regulatory oversight plays in consumer protection. While Vizio TVs don’t employ the same motion-detection claimed to game efficiency testing standards, the report suggests there are other methods TVs employ that make them much less efficient than their Energy Star stickers indicate. Vizio, Samsung, and LG TVs all employ software which disables “key energy-saving features,” on TVs essentially whenever you change your TV’s default picture mode — in virtually any way. According to the report, changing the main picture setting can “double” a TV’s energy use, often without your knowledge. For instance, simply switching to the Standard picture mode on newer LG TVs (as opposed to the default Auto Power Saving feature) disables motion-detection dimming, as well as other energy saving features like automatic brightness control. Similar features are disengaged on Vizio and Samsung TVs, the latter of which can disengage energy-saving tech features by simply changing the brightness or contrast settings by a single point. The report claims that if just one third of users change their picture setting, the result could be billions of dollars in extra energy costs. Of course, as reviewers, these features are often contrary to achieving the best performance from the TVs we test. In fact, one of the first things we do to optimize performance is turn off energy-saving tech. However, given that the features are essentially necessary for many new TVs to achieve an Energy Star rating, the NRDC wants manufacturers to be more forthcoming. “The manufacturers we’ve spoken with have agreed, to varying degrees, to update the software on their new TVs so the energy-saving features are more likely to remain enabled over the TV’s lifetime,” the report states. “Thus far, LG has been the most responsive to our concerns,” the report adds.